It is hard to believe that June – and summer – are right around the corner, and with summer, come lots of Kent news and activities. Take this Saturday, for example, with a host of much-loved Kent events — Kent International Festival, Kent Lion’s Farmer’s Market, the city’s Summer Recycling Collection event, Free Art Kids’ Art Project at Rusty Raven Studio and more! I love this time of year, in spite of that fact that I’m in the process of moving. Have a great week, everyone! 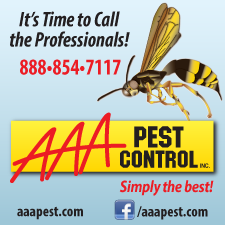 Thank you to AAA Pest Control for sponsoring this issue of Sound Bites. A few years ago, our attic was infested with bees, and it was so bad they were eating their way through the ceiling into our home. AAA came immediately to our rescue, much to our relief. If you have a pest problem, or want to stop them before they start, check out AAA Pest Control in Kent. Tonight the Kent Police Dept will host Neighborhood Block Watch 101 at Kent City Council Chambers (220 Fourth Ave. S., Kent, WA 98032) from 6:30 PM to 8 PM. Learn how to create an effective Block Watch program. On Wednesday, Kent Police Chief Ken Thomas and members of his staff will be on hand for the next installment of ‘Coffee of the Chief.’ The event will be hosted at Create! at 216 W. Gowe St., Ste. 300 in downtown Kent. 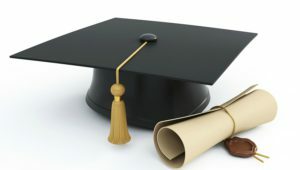 Summertime also means graduation for hard-working high school and college seniors. Here’s the event schedule for the month of June including Kent high school, specialty programs and Green River College. If you know of an event we missed, please email us at [email protected], so we can add it to the list. Congrats to the class of 2017! The city is hosting its annual Summer Recycling Collection event this Sat., June 3 at Kent Phoenix Academy. This is a great place to recycle those difficult-to-recycle household appliances, batteries, electronics, scrap wood, mattresses, cardboard and other approved household items. Click here for a list of items that will and will not be accepted. NEW–Who’s running for Kent and King County offices? The filing deadline for running for office in the 2017 elections was May 19. There are quite a few contested races in the City of Kent and in King County. In Kent, the mayor’s race drew four candidates – Andrew Swansen, Dana Ralph, Jim Berrios and Elizabeth Albertson, their are four candidates for Kent City Council, position 2 – Jeff Piecewicz, Satwinder Kaur, Elizabeth T. Peang and Paul Addis, three candidates for Kent City Council, position 4 – Tiambia S. Whitfield, Toni M. Troutner and Ronald D. Johnson, and two candidates for Kent City Council, position 6 – Russell L. Hanscom and Brenda Fincher. Those races with three or more candidates will compete in the August 1 primary, with the top two vote getters in each race advancing to the November 7 general election. Learn more about other Kent and King County races here. 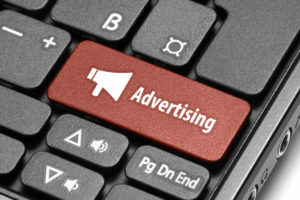 We’ve been asked by several campaigns if we would be accepting advertising for the 2017 election cycle. We have not done so in the past, but have decided to accept advertising and have crafted a political advertising policy similar to The Seattle Times’ policy and which is compliant with state rules and regulations. You can read the full policy here. NOTE: Though we will accept advertising, it must comply with our stated policy, and does not in any way indicate our endorsement of a particular candidate or issue. iLoveKent will remain neutral and will not endorse any candidate. NEW–Embrace a Blissfully Healthy lifestyle this summer! SPONSORED–Summer is a great time to get outdoors and enjoy nature, whether you are barbecuing in the backyard, hiking with friends, or enjoying a picnic at the beach. Many women dread summer, however, because shorts, tank tops and sundresses do little to hide the winter weight. Emmie Perez of Blissfully Healthy advises women not to dread summer, but to embrace it. Read her inspirational post to see how you can make the most of summer with a healthy lifestyle. Relay for Life of Kent is this Friday and Saturday. The event, which raises money for the American Cancer Society, will be held at French Field (10200 SE 256th St., Kent, WA) next to Kent-Meridian High School. The event starts at 6 PM and goes all night with activities like luminarias throughout the night. Learn more or donate to the Relay for Life of Kent team here. Kent4Health, a City of Kent initiative, has expanded its free indoor walking schedule to extend into June. All are invited to walk indoors at ShoWare Center (625 W. James St., Kent, WA) on select Mondays and Wednesdays from 9 AM to 11 AM. Click here for the schedule. Join thousands of residents and visitors at ShoWare Center on Saturday, June 3 for the annual Kent International Festival, a celebration of cultural diversity. The festival opens with a World Wide Walk at 9:30 AM, followed by a day of ethnic food, events and entertainment throughout the day, including a World Dance Party from 5 pm to 6 pm and a Festival Finale Concert from 6 pm to 8 pm. Admission to the festival is free. Learn more about this popular event here. You know it’s almost summer when the Kent Farmer’s Market returns for the season. Hosted by the Kent Lions Club, the open air Kent Farmer’s Market is held each Saturday from June 3 through September 23, 2017, with the exception of July 15 for Kent Cornucopia Days, at 2nd and Smith. 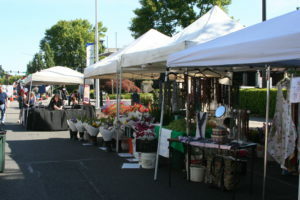 The event runs from 9 AM to 2 PM and offers local artisans’ crafts, locally grown produce and much more. We can’t wait for Saturday! Now that construction season is in full swing, we’ve brought back our Kent Traffic Alerts and Construction Projects page to keep you up to date on construction traffic affecting Kent drivers. We’ll do our best to keep your page up to date, but if you see something missing or a mistake, please let us know. View the page here. May 31 Coffee with the Chief at Create!